Looking back on it, I was very unwell this week but I pushed through and it was actually quite a lovely one all in all!
. . . I loved watching Britain's Got Talent! I'm still a bit gutted Lorraine Bowen didn't through but I'm sure she'll go on to do bigger and better things. I'm looking forward to the final tonight!
. . . I filmed a video! It was my May Favourites and I hope you enjoyed it if you watched. I have a few more ideas for things I'd like to film but please do leave any suggestions in the comments below if there's anything you'd like to see!
. . . I became the proud owner of three gorgeous new moleskine notebooks! Y'know when notebooks are so pretty you almost can't bear to write in them? You better believe I'll be doing my best handwriting in them!
. . . I ordered my dad a little something and I can't wait for it to arrive! It's just a wee surprise and I'm so excited for him to have it! So that's what I got up to this week! It's time to talk May Favourites! This month I've got beauty & fashion items as well as a TV show and some other bits and bobs to share with you in video form! As I mentioned in the video, let me know if you'd like to see a current skincare routine video and I'll certainly share that with you! Here are some other favourites from the month of May . . .
12th of May was M.E. Awareness Day and Meg & Hayley made a fantastic video talking all about it. Chronic illnesses are surrounded by doubt and these two ladies really did an amazing job of explaining it far better than I ever could! Well I hope you enjoyed this video about what I've been loving this month! Get involved in the comments below and let me know what you think! What are your May Favourites? Getting your eyeliner flicks right is never easy, so when Makeup Revolution bring out something that claims to be amazing I sit up and listen. At £1.50, it would be rude not to try! 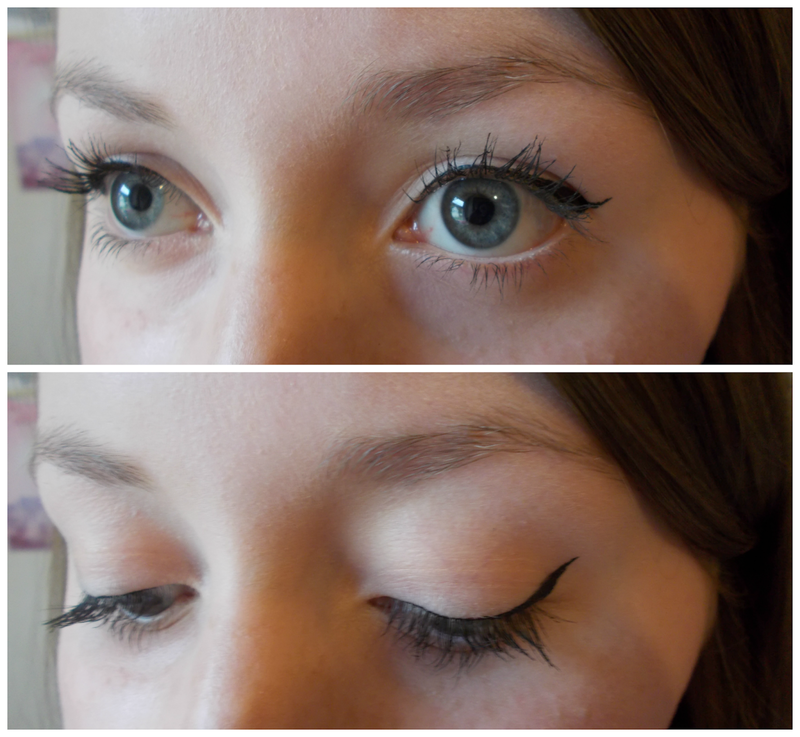 Here are my thoughts on their Amazing Liquid Eyeliner . . . The Amazing Eyeliner is a liquid liner with a flexible 'brush' which Makeup Revolution claim is easy to apply, intense in colour & lasts all day. It also comes in a waterproof version. Y'know that saying, good things come in small packages? Well I think they were talking about this eyeliner when they came up with it! This comes in a teeny tiny bottle and the nib is so petite making it truly incredible at getting a precise line. What I love about it is how it's curved and bends slightly - it means you can really get close to the lash line with one side and then use the other side to create a flick with ease. I do find myself needing to dip it into the liquid a few times to get the opacity as even as I'd like but honestly, that's not really too much of a problem at all. If I was to pick a fault I'd say it takes a wee bit of time to dry properly and not waiting long enough means it transfers onto the eyelids when you look up - I learnt the hard way! Once it's on though it stays and really doesn't budge. I'd be interested to try the waterproof one to compare them both! 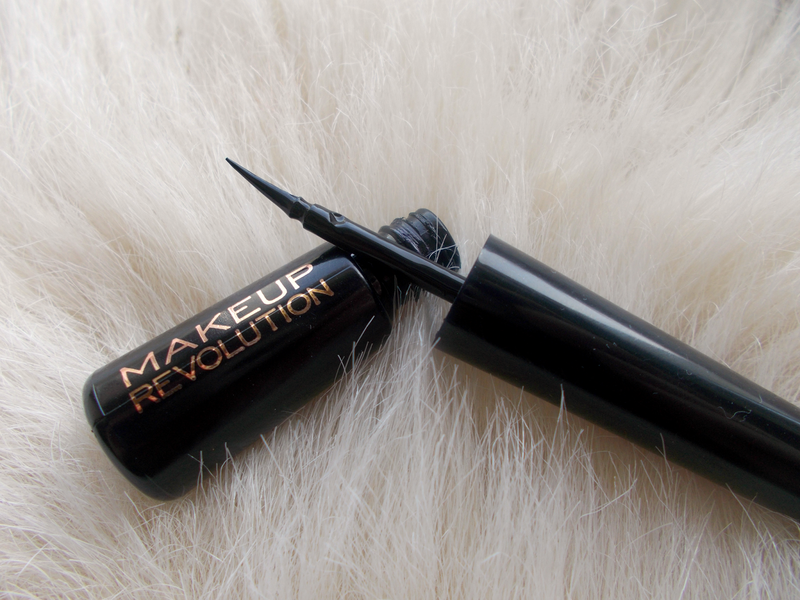 The Makeup Revolution Amazing Eyeliner is available to buy on their website here. In short, I think I've found my new favourite liquid eyeliner and I'll be stocking up on it! It would definitely be a great one to try if you're just getting started with cat flicks. Get involved in the comments below and let me know what you think! What kind of eyeliner do you like best? This week's #IrishBlogCollab is one for the bloggers today! Blogging's not the simple task it may seem to some, it takes a fair bit of organisation & dedication. I'll never be able to dish out any blogging 'tips and tricks' but there are 5 things that make it a lot easier for me! Remember when I was sent this planner to review last year? Well I suppose the true test of how good it really is if I'm still using it. The answer is yes, it's proved to be absolutely vital in blog planning! I'm a bit of a planaholic so I like keeping this filled in with upcoming posts - it sets my mind at rest knowing I have my content sorted! Plus I love actual pen to paper writing. I don't know about you but I just don't feel truly organised until I've written something down! I also jot down a lot of to do lists in my planner. Ah, Tweetdeck. For one thing, I love having all the Twitter functions onscreen at once (home feed, mentions, activity etc.) but also being able to schedule tweets is such a good feature and time saver! It really helps to tweet out blog post links as well as various social media ones throughout the day & night so lots of different people can see them. A great (and free!) photo editing website that allows me to enhance the look of my photography. Sometimes, what with the notoriously bad weather in the UK, pictures can turn out a little dull so I like to turn up the brightness on them and a little highlight. I also love it for cropping, adding text or collaging - it's something I'd struggle to blog without! Since discovering the absolutely wonderful community of bloggers, I've been inspired to blog more and more and improve what I share. Being able to make friends from any shared interest is a great thing and the bloggers I've got to know sure are a lovely bunch. I love that if I ever need help with something I can just hop over to Twitter and ask my fellow bloggers! 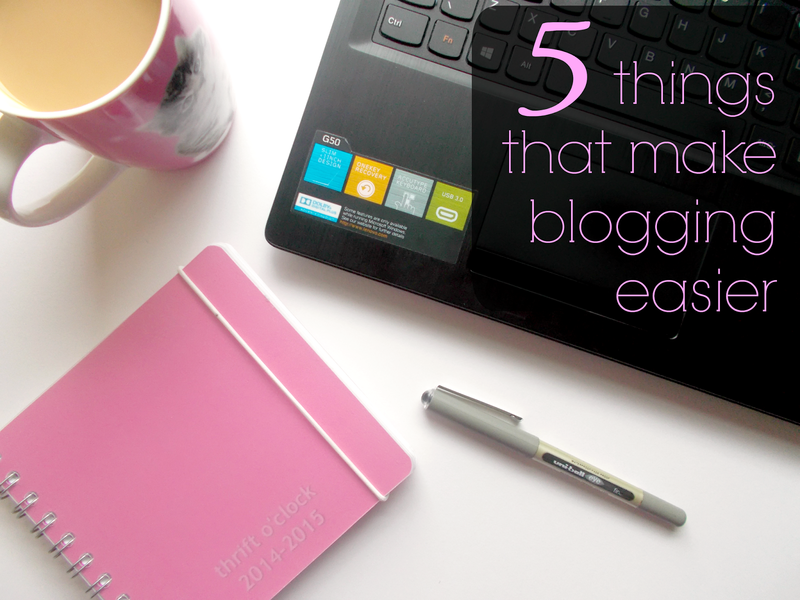 So there you have it, 5 things that make blogging that little bit easier! Get involved in the comments below and let me know what you think! What makes blogging easier for you? When I look back to my early days of wearing makeup, I got by on two brushes; one for slapping on the foundation and another for powdering that to within an inch of it's life! Fast forward to today and I'd like to say my makeup application techniques have improved! That's mainly down to the set of tools I've armed myself with which really do make all the difference. Let's talk through my makeup brush collection shall we? Buffing brush // This is a brilliant multi-purpose brush - in the past I've used it for foundation, blush & setting powder and I love it for all three. It does a really good job at buffing so it lives up to it's name! Pointed foundation brush // I used to use this for foundation but now I definitely wouldn't as I much prefer buffing to 'painting'. Nowadays I like using this to apply creamy face masks. Trust me, it makes the job so much easier! 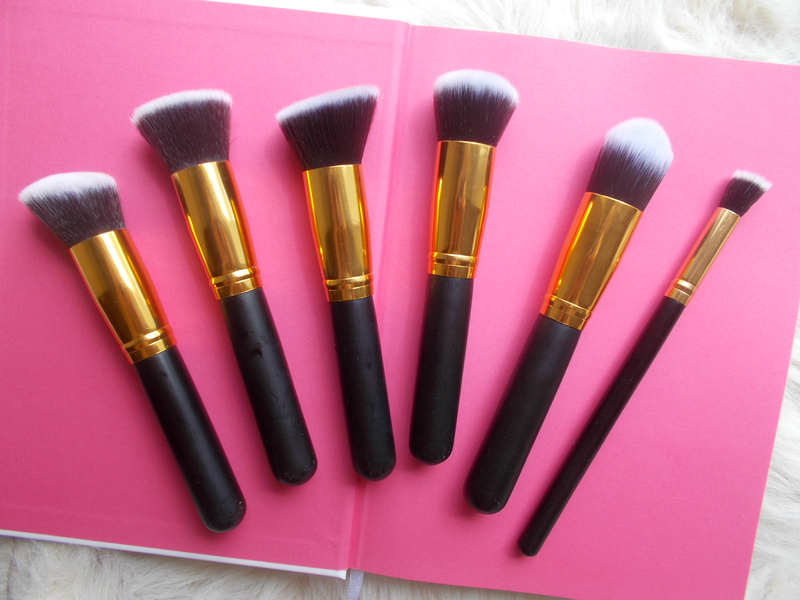 Contour brush // As I mentioned, I like to switch up how I use brushes and in the past I used this as a blush brush. It's quite small so now I really like it for applying highlighter as it's just the right size for the tops of my cheekbones. Also, the fact it's very tapered means the powder goes on evenly so you don't use too much. Detailer brush // This is my lip brush for making sure I can get tidy edges when I wear boldly coloured lipsticks! I also find liquid lipsticks with doe foot applicators aren't the most precise so I like to use this brush for those too. Pixel point eyeliner brush // I can't say I've ever used this for it's intended purpose but I do use it for inner corner highlight eyeshadow as it picks up pigment well. Accent brush // This is so handy for adding definition to the bottom lash line with eyeshadow! It's also my back up inner corner highlight brush and serves well for brow bone highlighting too. Brow brush // Now, if you know me you know I don't ever bother with putting anything on my brows, I just give them a comb through so they're sitting right and leave them be! Needless to say then that I don't use this for brows but when I want to add a liner to my top lashes with an eyeshadow, this is what I use. As it's angled, it's also really useful for mapping out winged liner with black eyeshadow before using a liquid liner! Base shadow brush // This may not look like much but it's probably my favourite eye brush! It's the best at carving out a crease and makes winging out your eyeshadow so simple due to the fact it's slightly pointed! As well as that, it's also pretty good at blending a shadow all over the lid so this is definitely a brush I couldn't be without. 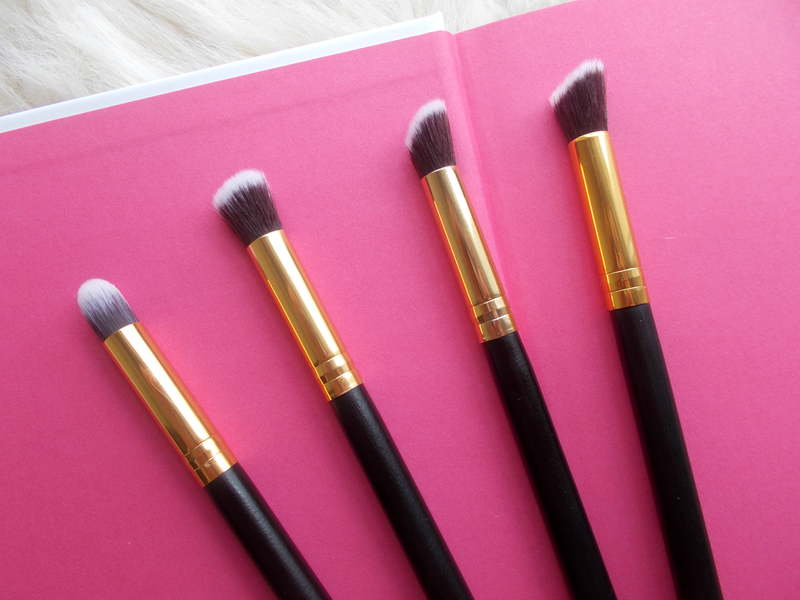 Deluxe crease brush // Fun fact: I actually lost this brush for about a year and only found it recently! I really miss it as I get two different uses out of this big fluffy eye brush; applying MAC Blanc Type (review here) as a base all over the lid and then for blending everything out at the very end. 1 // My current foundation brush of choice, it's quite dense and angled so I love it for really working my base in to get it looking as natural as possible. 2 // Next up is this flat topped brush that I use for putting on my powder - nothing more to say about it really other than it does the job! 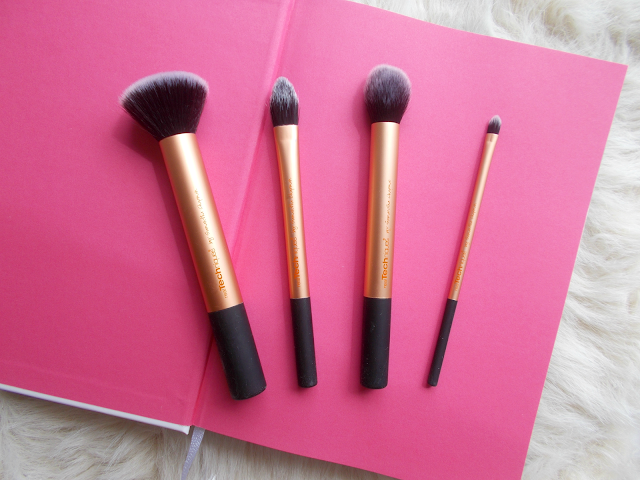 3 // Seeing as I've been trying out contour/bronzing recently, this brush has been ace for that. 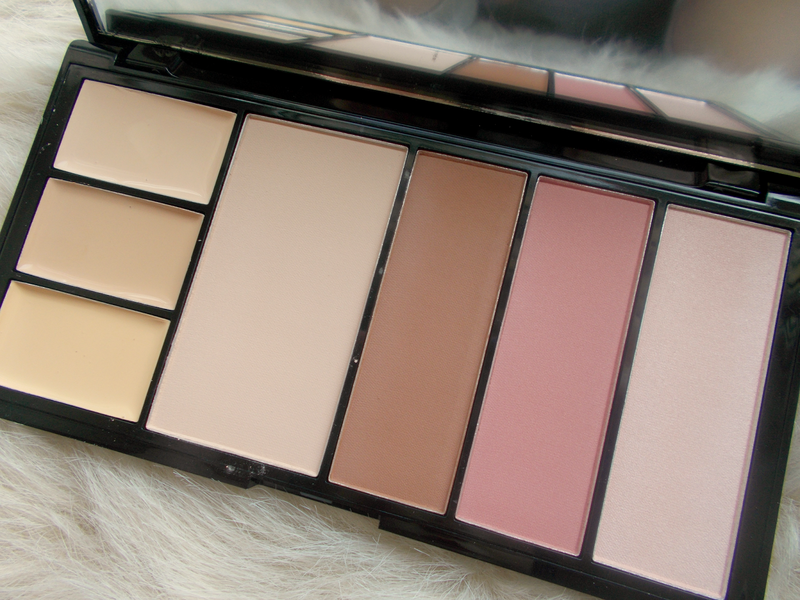 I dip the curved edge in my bronzer from this palette and use it to sculpt my face, blending as I go! 4 // This one's quite rounded and I find that makes it great for adding some blusher to the apples of my cheeks. 5 // A pretty unique looking brush but it's another really versatile one! 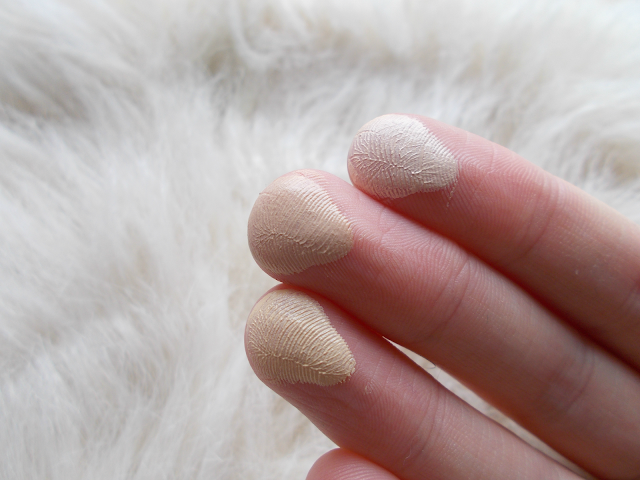 The point means it hollows out your cheekbones really well but I also use it for undereye concealer sometimes. 6 // That said, I use this as my concealer brush most of the time - it's small and makes blending in super easy but also precise! 7 // The densest and stiffest brush of them all, it's a pencil brush so it works well packing colour on the lid or for adding really precise lines on the crease or lash line. 8, 9, 10 // I use these brushes for fairly similar things; adding and blending colour on the lid. Of course, having more than one is useful for when you want to add different colours or if you've forgotten to wash one! The two tapered ones fit nicely in the crease so can get a really nice transition shade going. 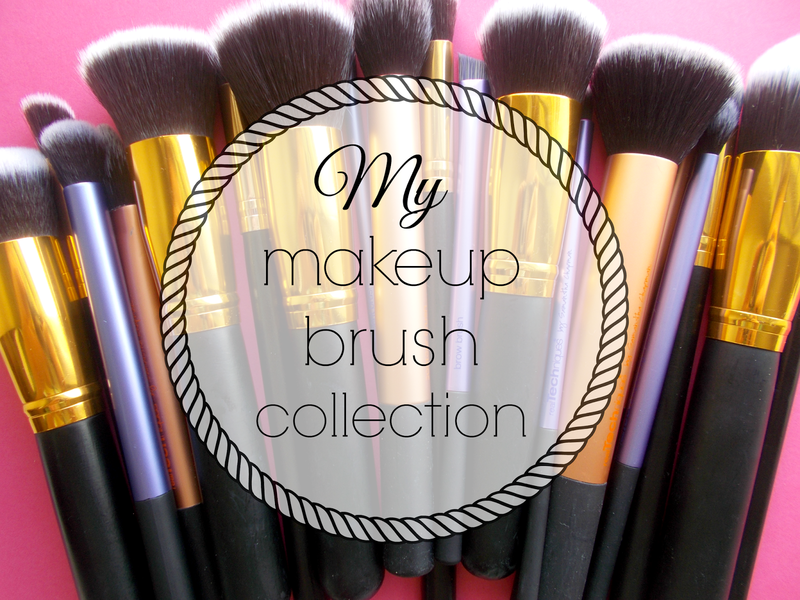 So there you have it, my makeup brush collection! I honestly don't know whether I have little or a lot but I do know that I love what I have. 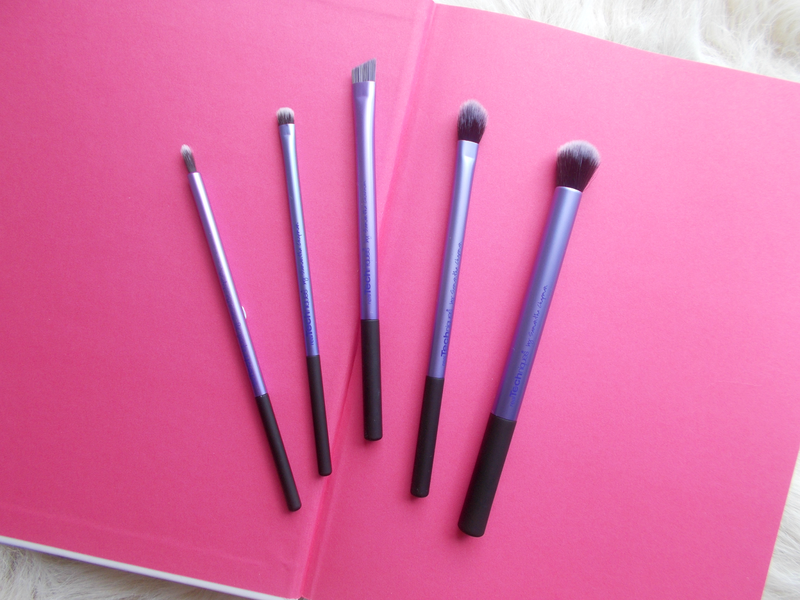 Get involved in the comments below and let me know a bit about the brushes you like! 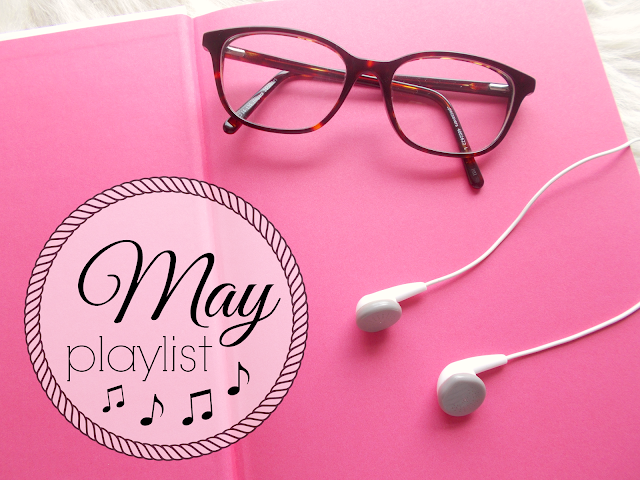 We're coming to the end of another month so that means it's time to share my May playlist! In all honesty, I haven't been listening to a lot but there are a few stand out tracks that have caught my attention! I've always liked Drake but at first I just wasn't really fussed about his new release If You're Reading This It's Too Late. I only stumbled across it by accident, I hadn't heard a thing about it, I didn't know what to make of it! A couple of listens later, a few songs have grown on me; namely Jungle & Legend. I have heard he'll be releasing something else at the end of the year but for now, I'm not overly excited about his current stuff. Sorry Drake! On the flipside, I've never really thought much of Kendrick Lamar but I am quite liking his new single, King Kunta. I really do need to get around to listening to his new album in it's entirety! I've always admired Rihanna's ability to reinvent and show more aspects of herself with every album and her new music has certainly got me excited for what's to come next! I'm anticipating her next album will give us just as much attitude as we're used to with her but also have an element of thoughtfulness. American Oxygen is fab! Peaches N Cream was one of those ones I skipped within seconds when I first heard it but now I'm really liking it and expect to do so throughout the Summer! I've also been loving Photograph by my fave, Ed Sheeran again since he brought out the video with adorable clips of him as a child! So that's what I've been listening to this month! Get involved in the comments below and let me know which songs you've been loving lately! Very pleased to be writing this post in a world where there are now equal marriage rights in the south of Ireland! Now it's Northern Ireland's turn . 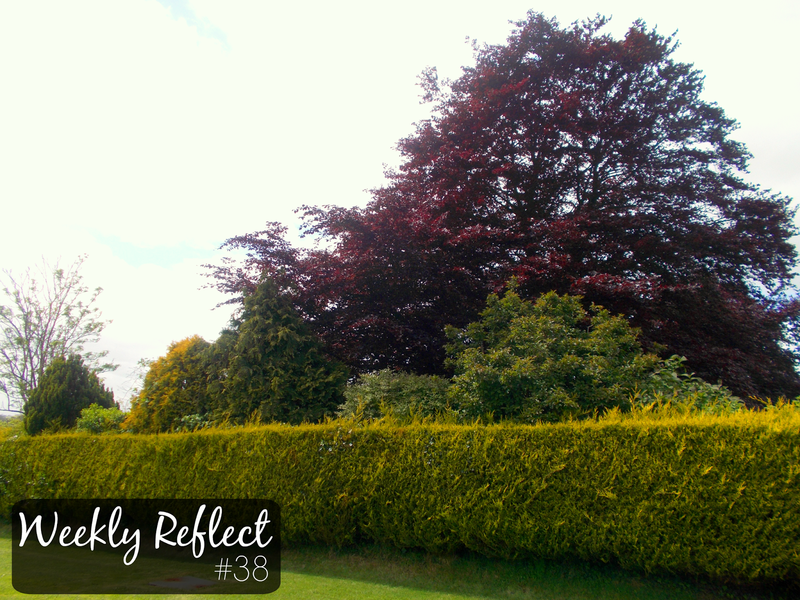 . .
Let's reflect on the past week!
. . . I went to my first blogger event on Tuesday! It was such a lovely evening with lovely people and you can read all about it here if you'd like! I'm testing out the bluey/purple Vinylux shade and really liking it!
. . . I watched Eurovision as I love to do every year! My favourites were Israel & Italy but I'm still pretty pleased with the winner. It's not really about who wins it for me anyway, I just like watching the whole spectacular thing! On Tuesday night just gone, myself and a few other Northern Irish bloggers got together at The Malmaison, Belfast to meet with the lovely girls from The Publicity Loft! They do the PR for a bunch of cool beauty brands and we got the chance to get a feel for their ranges & products. Yon-Ka & Image Skincare were the two main brands on focus, both of which have a really luxurious, spa-like sense to them. The oil from Yon-Ka in particular was absolutely gorgeous and definitely one to try if you're in the market to treat yourself! Other items on show were the CND Vinylux polishes which claim to last 7 days without chipping when you apply the topcoat, some Sleek palettes and the P20 Sun protection spray. As well as the beauty browsing, it was so good to get to know some fellow local bloggers. We were all saying how it's funny you don't instantly recognise someone in real life from only seeing their profile picture beforehand but when they introduce themselves it clicks and of course you know them! The lovely Rebecca (Flails and Nails) and I got chatting about everything from nail art to blog commenting systems and everything inbetween! 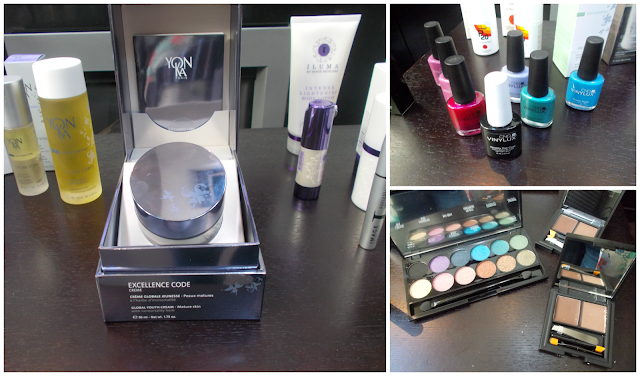 We also got to take away some goodies to try so keep an eye out for some reviews on the way! Overall it was a really lovely evening and it was so nice to be able to get to know some fab ladies! Get involved in the comments below tell me what your first bloggers event was like! What would you like to see reviewed first? 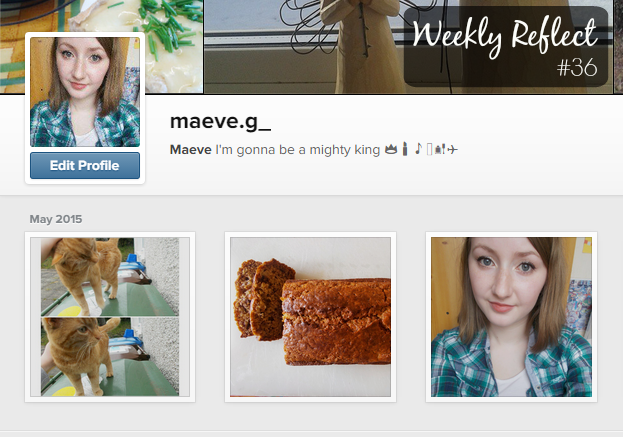 I go through phases with Instagram. I'm a serial scroller but sometimes I don't really bother with my account, others I'm snapping everything in sight! For this week's #IrishBlogCollab theme we're all sharing an Instagram roundup - here are some of my recent photos as well as some old faves! 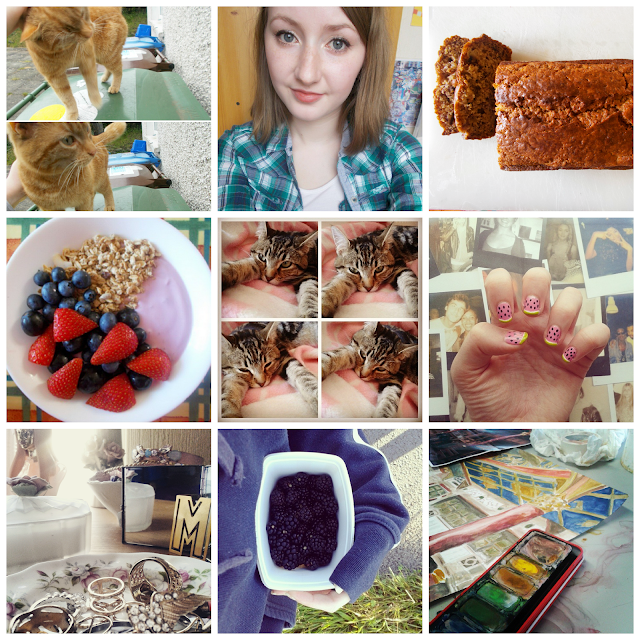 Evie, my little ginger stray that likes to visit from time to time // Selfie ft. my new hair // Banana bread I made using Essie Button's recipe! Bedroom details // The fruit of a blackberry picking adventure // My friends painting in the art classroom! Get involved in the comments below and share your usernames so I can go have a wee nosy! When I spotted the Protection palette on the Makeup Revolution website it was like a prayer answered, finally an option pale enough for us in a handy do it all palette! The Protection palette contains 3 creamy concealers, a pressed powder, a contouring matte bronzer, a blusher and a highlight. It contains a full size mirror in the lid. It comes in 4 different shades; light, light medium, medium & medium dark. I was looking for something to up my base makeup & contouring game and when I came across this I knew I had to try it! The three concealers don't have the highest of coverage but I don't shun them for that. They have a very creamy consistency and blend out to a matte finish. 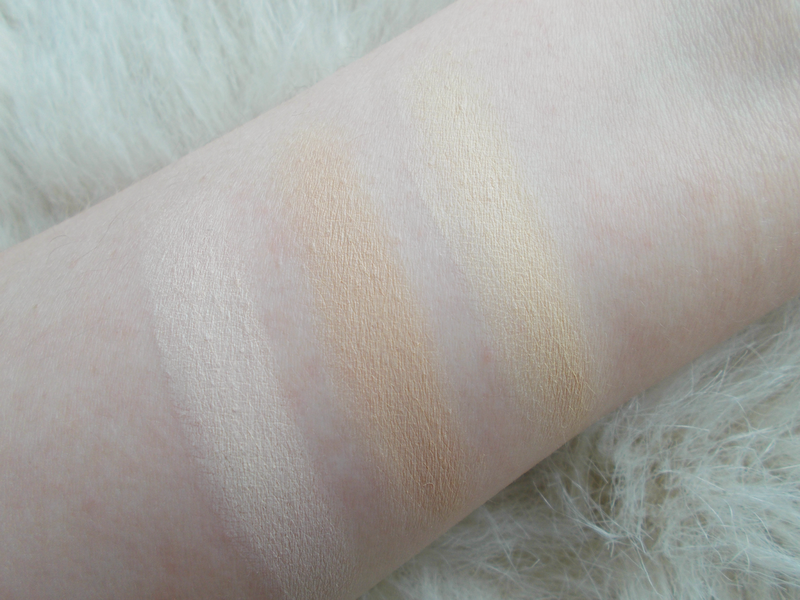 All three shades come in handy - the top one is a great match for my pale skin, I like the middle one for very subtle cream contouring on my nose and as the bottom one is yellow toned I find it great for colour correcting & brightening those undereyes and inner corners that can be quite blue/dull! The pressed powder is a fantastic addition to the palette! I didn't bother swatching it as it doesn't give any colour. It simply mattes excess shine but still allows radiance to come through without clinging to any dryness - vital criteria I look for in a powder! I do find it requires topping up after a number of hours but I don't find that to be a major problem. The true stars in this palette are the bronzer, blusher and highlighter. Now, I'm pale and I don't try to cover that up with fake tan so bronzers are something I've always stayed away from. That was until I found this one! As you can see on the right, it blends beautifully and I love using it to warm up my complexion so I don't look quite so ghostly! I've also been experimenting with getting my contour on! My tip is to take some on your brush then dab away any excess on your hand as it's always easier to build up the colour rather than take it away if you're heavy handed. Just make sure you remember to wash your hands after! This blush! It doesn't look all that exciting in the pan but once on the cheeks, it gives an incredibly natural perk up in the complexion department. 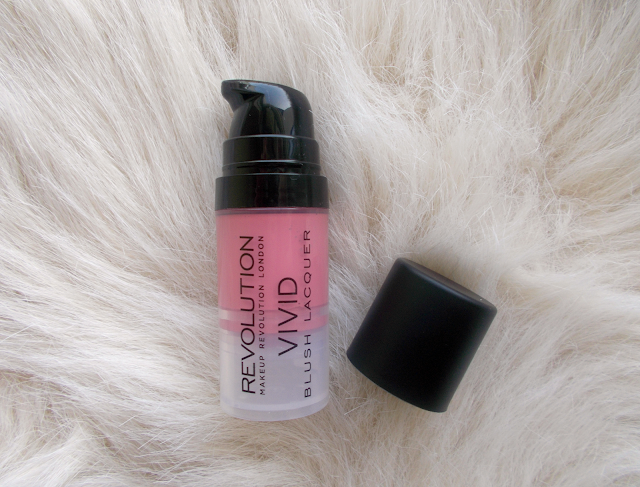 I've been using this alternately with the Makeup Revolution Vivid Blush Lacquer I reviewed last week. I love them both and can't pick a favourite! I'd compare this to a pair of comfy sweatpants - not the fanciest but never lets you down. There's a very fine shimmer that helps with the look of glowiness that I adore. Ideal for pale skin! Highlight has become an essential for me. This one is definitely my new fave - it's that gorgeous pinky champagne colour that flatters us pale girls so well. The powder has just the right amount of pigmentation and blends like a dream! 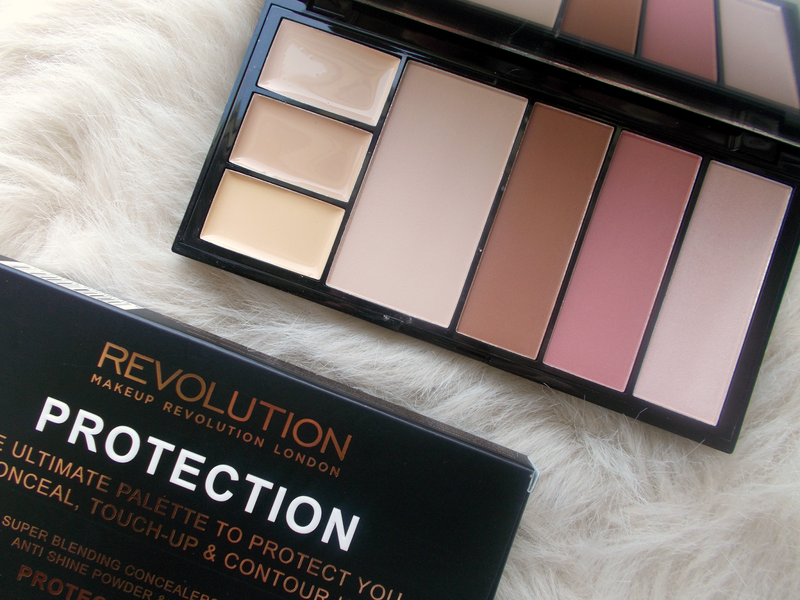 The Makeup Revolution Protection palette is available to buy here on the MUR website. Overall, the Protection palette has become a truly invaluable part of my makeup routine and I can't recommend it highly enough! Get involved in the comments below and let me know what you think! 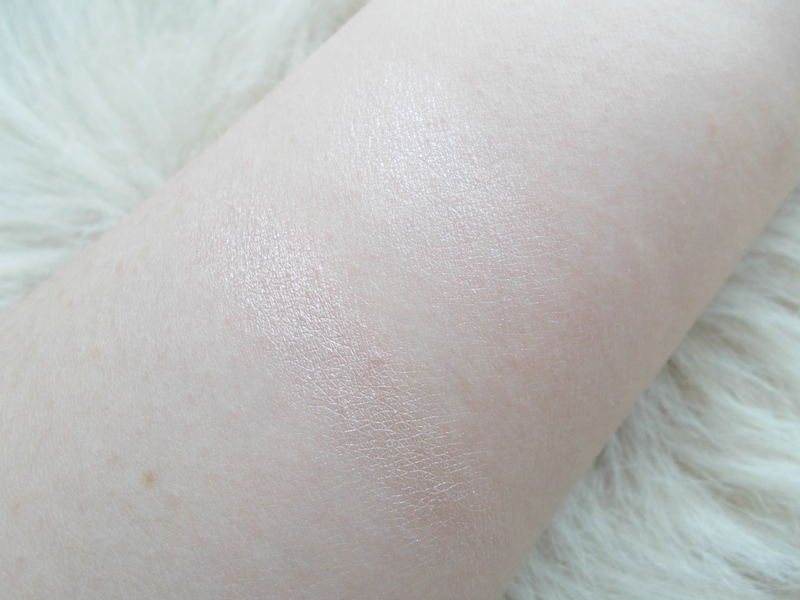 What are your favourite products for pale skin? Looking back on it I had quite a lovely week! It was actually ME Awareness week so I wrote a post for the occasion!
. . . I filmed a video for my Youtube channel! I wasn't planning on it whatsoever but I just felt like filming so I got ready and went for it! 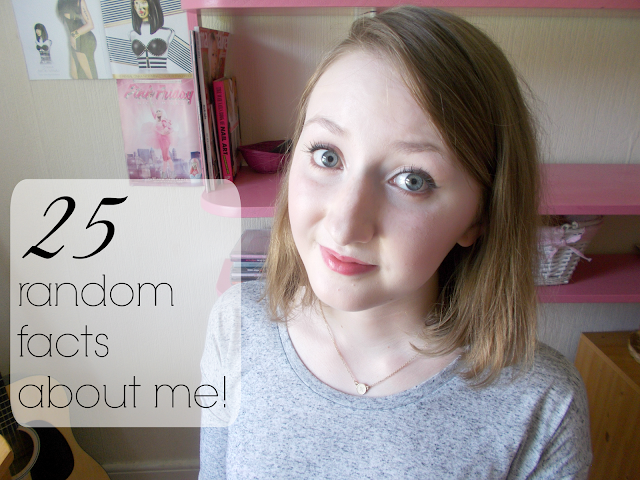 It's 25 random facts about me and you can watch it here if you'd like to.
. . . I've been getting back into Instagram! I kinda left my account bare for a while but I'm loving sharing my photos again!
. . . the Liz Earle Cleanse & Polish I ordered arrived! I'm absolutely loving it so far, it's seriously revolutionary. I can't wait to review it for you and maybe even do an updated skincare routine for you?
. . . I wrote a guest post for the Wear Eponymous blog! It's all about the 70's trend that had come back into fashion - go show it some love here! I filmed another Youtube video! I thought you, my fabulous readers might want to get to know me as a person a bit better so I shared 25 random facts about me. Enjoy! P.S. There's a wee appearance from my cat, Mia! Well I hope you liked this video! Get involved in the comments below and let me know if you have any video suggestions for my channel! What's a random fact about you? If you're a regular reader, you might be able to tell that I quite like makeup. The one area I never seem to branch very far out into though is blusher and I'm not really sure why! In a bid to switch things up and try new things, I bought the Vivid Blush Lacquer from Makeup Revolution. Here's my review! Desire is one of six shades in the Vivid Blush Lacquer range. Makeup Revolution describe it as an "ultra intensive liquid blush for an intense pop of colour and easy to blend". It comes in a pump bottle which makes it easy to distribute the right amount. It costs £1.99 but I got it in the Makeup Revolution sale for just £1! When I first picked up this product, I have to admit I was a bit confused because it took forever and a million pumps to actually get any blush out! The photo above was taken just after I managed to get anything out of the bottle so as you can see about half of it must have been air. I'm honestly not sure if this is the case for every single one of them, if it was just mine or if that's why they're in the sale. I suppose at the tiny price of just a quid I can't really complain but it was a bit disappointing. 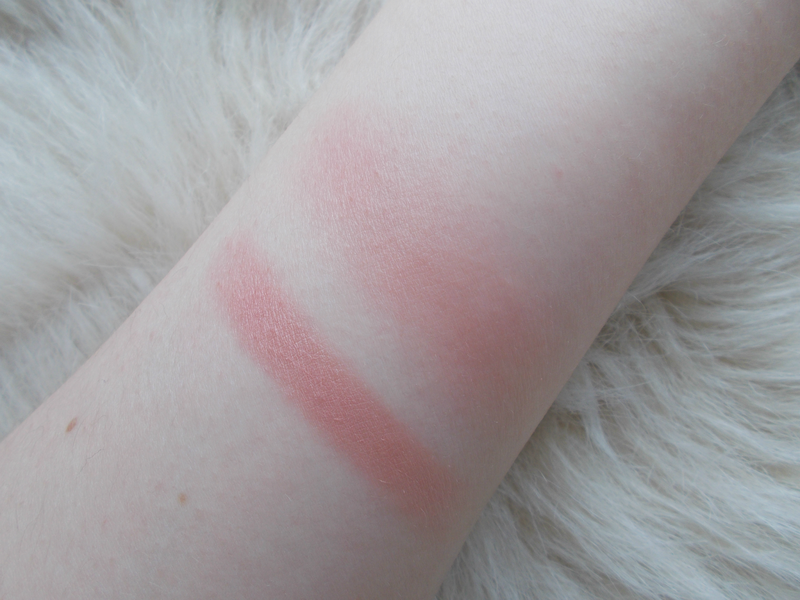 Anyway, onto what I think of the blush! It's a lovely creamy consistency which I find easiest to apply with my fingers. 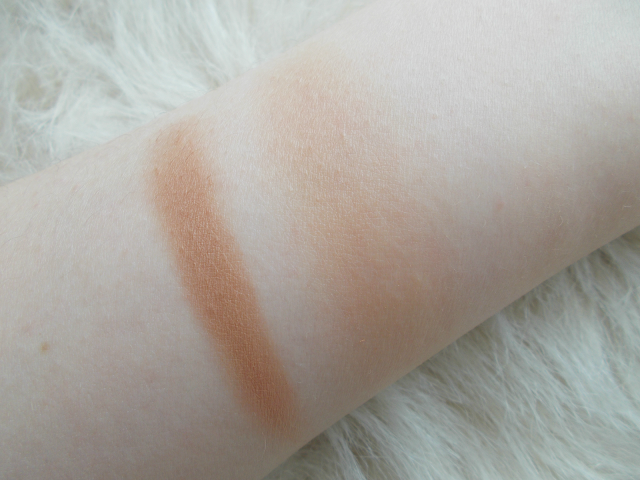 It blends out really well and the shade is a gorgeous natural yet brightening flush. 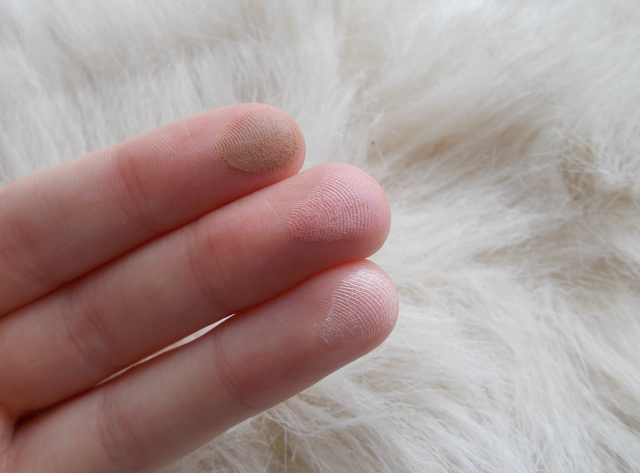 For me, I get the best results when I apply small amounts in layers - a sheer layer at first all over the cheek and then adding more pigmentation to where I want more depth. The staying power is also incredible, it almost stains for a really long lasting finish. As I mentioned in my haul video, I wanted to try it as a lip product and I have to say it wears so nicely on the lips! As it's fully matte it's best to apply it onto exfoliated and moisturised lips but I'm so impressed by how non-drying it is! It doesn't give that chalky feel some matte lipsticks can give which is a big bonus in my books. I have a fresh & glowy makeup look post using this blush coming soon so make sure you're following my blog to be notified when that post is up! The Vivid Blush Lacquers are available to order online here. Well I hope you liked this post! 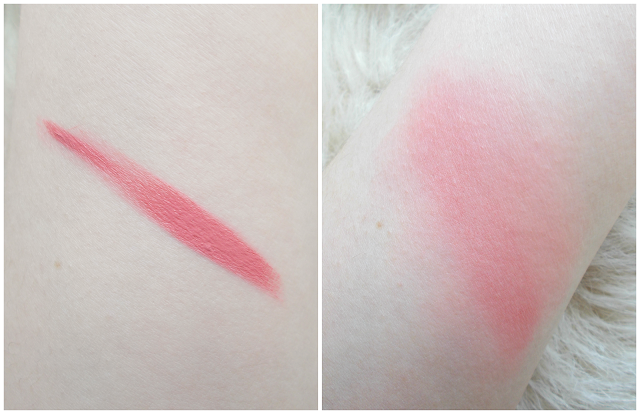 Get involved in the comments below and let me know if you'd try this and which type of blush you prefer!